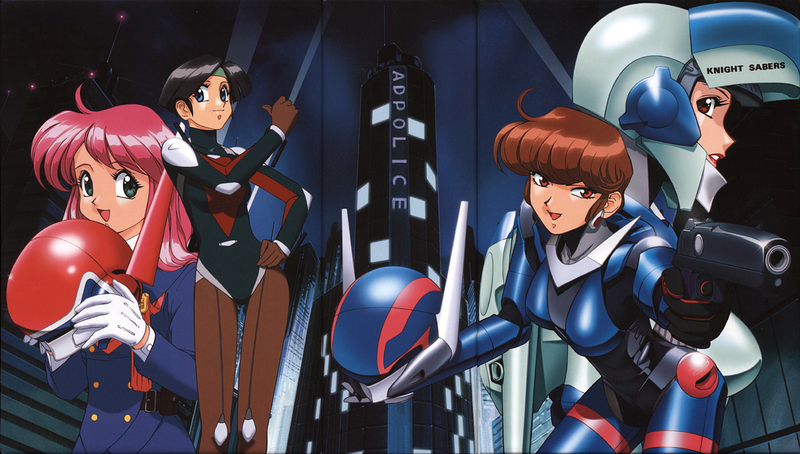 Breaking News In Anime: Original Bubblegum Crisis To Be Released On Blu-Ray Via Kickstarter Campaign!!!! Edit: As of this post, the project has raised $87,632 with 1,263 backers supporting the project. To go to the actual Kickstarter page, click on the K in the upper left corner on the promo video. Been a busy couple of months for me with grad school and all but for all you old school otaku out there, have I got news for you. Robert J. Woodhead the founder of Animeigo who released popular anime series as Otaku No Video has set up a Kickstarter project to release the original Bubblegum Crisis on Blu-Ray. The project started last week and has raised over $80,000 dollars as of this writing. So your probably wondering why he is going thru with this on Kickstarter, well Robert states on the projects Kickstater page, “Anyone who follows the foreign-film business know that changes in the anime market over the last decade has made life much more riskier for releasers, and the result has been that small companies like ours have to be very conservative in our licensing decisions when it comes to niche titles (which we like the most)” Source: Bubblegum Crisis Ultimate Edition Kickstarter Page. Granted I know how hard the industry is hurting We as fans know that the big three distributors ADV Films, Geneon Pioneer and Bandai Entertainment have gone bankrupt due to the stress of the industry loosing steam. However projects like these really give me as a fan hope that the industry will one day go back to its glory days when we get to see excellent series like this getting a new lease on life by giving new generations of fans a chance to see series like this for themselves. So if your interested in supporting this project, then click on the link below and learn more about it and discover some of the great rewards for supporting this project. And I have to say that the biggest award is something a true otaku would love. Granted I would love to tell you more about it, but you have to see it for yourself. 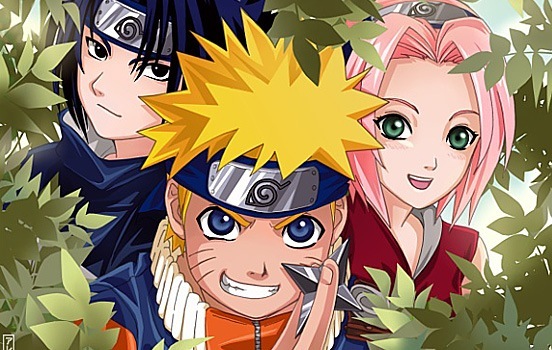 Breaking News In Anime-Naruto (The Original Series) To Return To Toonami On December 1st!!!! I hope that you had an awesome Thanksgiving day and that Black Friday didn’t wear you out. But I hope you are sitting down because I got a bit of breaking news that you can call some what of a special early Christmas present for all us good Otaku out there. It was officially announced that Cartoon Network Toonami Block will be bringing back Naruto (The Original Series) back to the block starting next Saturday December 1st 2012 at 12:30pm Eastern\ 11:30pm Central. This will be replacing Tenchi Muyo GXP which will be moving to 1pm Eastern\ 12pm Central. But this is not the only change that will be made to the schedule in which Tenchi returned a few weeks ago to the block. The following is the new schedule that will start next week (All Times Eastern). Did I also mention that the episodes will be airing UNCUT!!!! Yes, for the first time in the 4 years since the original series ended back in 2008 (Right around when the original Toonami block ended). So even if it’s your first time watching or if you were a fan from the get go like myself, you will enjoy watching this series the way it was ment to be seen. But your probably wondering why Naruto Shippuden isn’t airing on Toonami, well that series is still under contract with Disney XD who currently has the broadcast rights to it. Even though they haven’t aired any new episodes in recent years, I don’t see why they can’t give the rights to Cartoon Network. It would be awesome to see them both together and completely uncut. But it pretty much a long shot to see that happen. But all in all, this is going to be a great time for all anime fans. So until next time, remember that there is a ton of great anime and manga out there. All you have to do is find it. Ltrs. 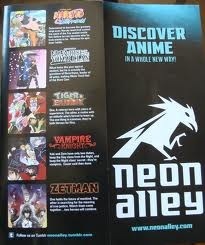 Breaking News In Anime: Viz Media’s Neon Alley Is Live!!!!! For those of you who have been living under a rock the last few weeks, then you probably may not know that there is a new anime streaming service available for your anime viewing pleasure!!!!! That new site I am referring to is Neon Alley, the new anime streaming from Viz Media in which you can catch all the latest series from Japan uncut and commercial free and best of all ENGLISH DUBBED!!!! Some of the new offerings include Tiger and Bunny, Death Note, One Piece and Inuyasha The Final Act just to name a few. But don’t take my word for it, check it out for yourself!!! Visit Neon Alley’s website to learn more and get a one week free trial and get tons of great anime goodness 24/7!!!! 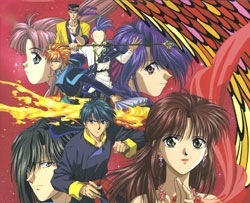 Breaking News In Anime-Fushigi Yugi To Be Re-Released By Media Blasters In April 2012!!!! Well here is the first piece of good anime news for the new year!!!!! Recently Media Blasters, the company behind such popular anime series such as Genshiken, Rurouni Kenshin, Bakuman and many others has announced that they are going to re-releasing the first season of the popular animated series Fushigi Yugi: The Mysterious Play this April. While no other information has been released as to when the box set will be published, it is understood that the new box set will be more affordable than the original box sets that were originally released by Pioneer\Geneon back in the early 2000’s for around $200!!!!! Personally, I have been waiting for another company to re-release this series for a while now. I wanted to buy the original box sets but they were too expensive. Hopefully, more fans of this series will be able to afford to pick this up. So thank you Media Blasters, you totally kick some major A**!!!!! 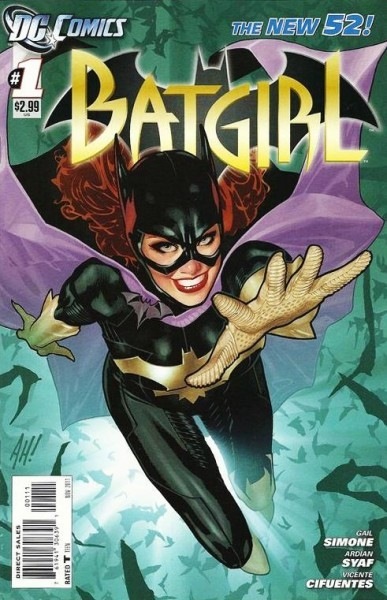 And in an un-related story, I was just able to obtain the first two volumes of Batgirl (The New 52) from DC Comics from a great comic book website known as Lonestar Comics!!!!! Lonestar Comics is a great place to find new, rare and hard to find comics including hard to find issues of “The New 52”. I already have volumes three and four in my possession and with volume 5 being released this month, I plan on giving you guys my first impressions of the series within the next few weeks. And as always, stay with AFC for the latest information with these breaking news stories. So until next time, remember that there is a ton of great anime, manga and comics out there. All you have to do is find them. Ltrs. 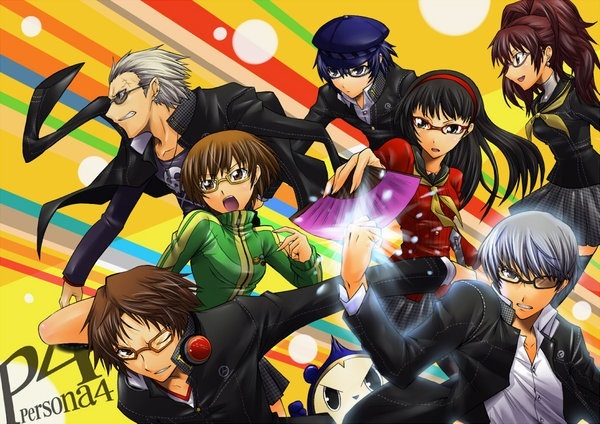 Breaking News In Anime-Persona 4 Anime To Stream On Anime Network and Hulu!!!!! Have I got some interesting news to share with you all. For those of you who are fans of the video game series Persona, hang on to your seat for what I have to tell you. It has been recently announced that The Anime Network will be streaming the new Persona 4 anime series on their site starting next Thursday (October 6) at 3:00pm EST right after the episodes air in Japan. The episodes will be available to view on the site absolutely free. The series will also be available on Hulu and Hulu Plus twenty four hours after they are posted on the Anime Network website. It has also been announced that Sentai Filmworks will be releasing the series on DVD and Blu-Ray sometime next year. No official date has been set. As always, stay with AFC for all the latest on this developing story. And we will also have your first look of the series next week with my thoughts and opinions. So until next time, remember that there is a ton of great anime and manga out there. All you have to do is find it. Ltrs. 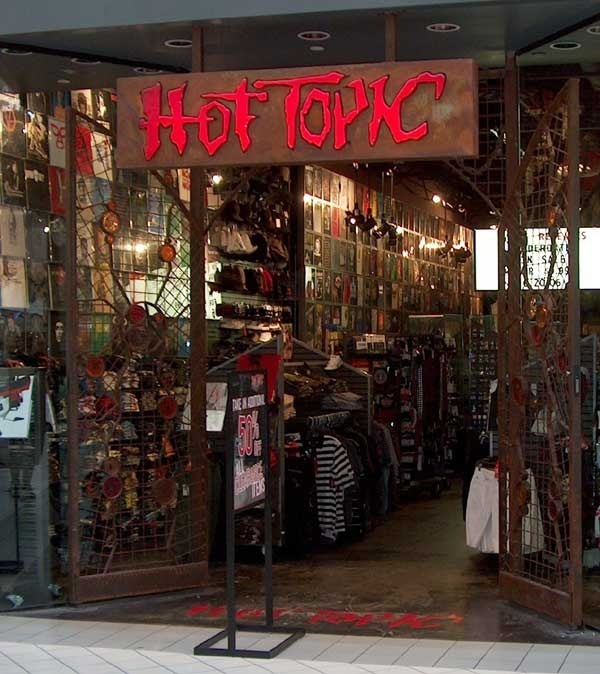 Breaking News In Anime-Sailor Moon Men’s Apparel To Be Sold At Hot Topic!!!! Have I managed to come across a very interesting story for Breaking News In Anime today. 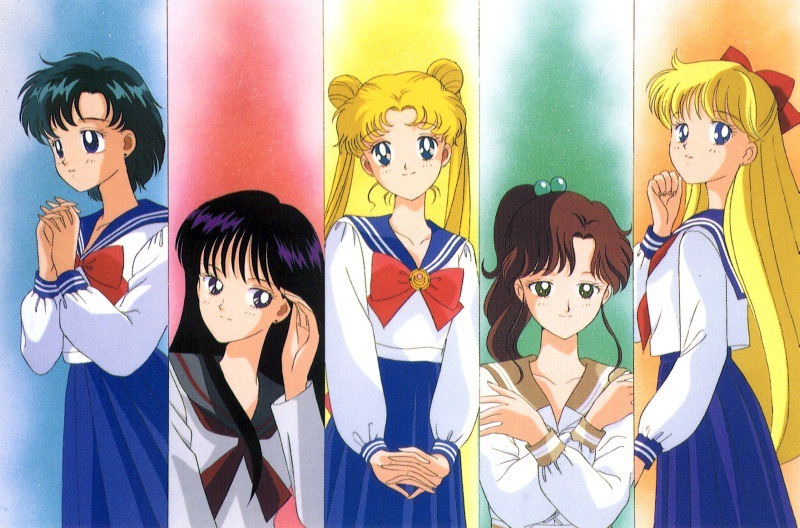 Now for you male readers who enjoyed the popular anime series Sailor Moon, have I got news for you. It has been recently announced that the popular pop culture clothing retailer Hot Topic will be selling the popular Sailor Moon t-shirts in select stores and on-line via their website in the coming months. Hot Topic states that the men’s design will be similar to one of the designs as the girls shirts but they will be more firm-fitting to a mans size. Newer styles will be added in the coming months to meet demand. As always, stay with AFC for more details on this breaking news story. So until next time, remember that there is a ton of great anime and manga out there. All you have to do is find it. Ltrs. You are currently browsing the archives for the Breaking News In Anime category.